"Figure out what internal measures within the control of management really drive shareholder value - reward people for what they do." I believe that a well-designed compensation program can be a tremendous driver of company performance and differentiation, not just a cost of doing business. An incentive compensation plan can’t replace a thoughtful business strategy or a talented management team—but it can reinforce both of those things. My role as an advisor starts with making sure my clients have all the information necessary to make an informed decision, but it doesn’t end there. Ultimately, my goal is to translate my client’s unique value proposition into a tailored compensation program that increases the company’s long-term success. 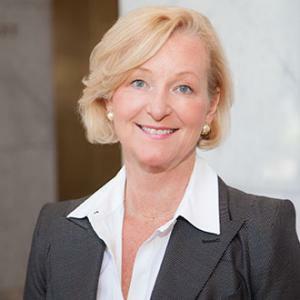 Ms. Koors is a senior managing director with Pearl Meyer and president of the firm's Western region. She has more than 25 years of experience in executive compensation and governance, and has consulted to companies of all sizes and industries. She advises company boards and management teams on all aspects of executive and director compensation design, performance measure selection and calibration, and related corporate governance issues. She is also responsible for the firm’s annual Director Compensation Study, published in conjunction with the NACD. A noted expert in the field, Ms. Koors has been quoted in publications such as The New York Times, The Wall Street Journal, and Financial Times. She has appeared on CNN’s MoneyLine, NBC Nightly News, and has spoken at numerous seminars on executive and director compensation issues. Ms. Koors is an NACD Governance Fellow, and serves as faculty for the NACD’s Director Professionalism and Master Class programs. In 2016 she was named for the ninth time to the D100 list of the most influential people in corporate governance.